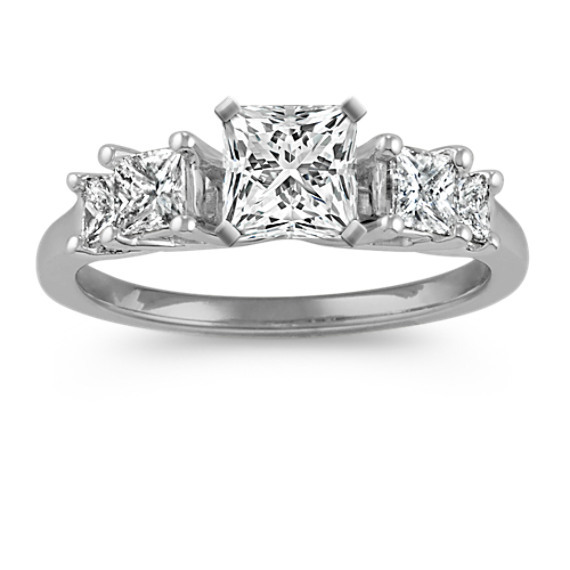 Princess Cut Diamond Engagement Ring | Shane Co. This sparkling engagement ring is a Shane Co. exclusive. Four princess-cut diamonds, at approximately .51 carat total weight, are set in quality 14 karat white gold. Simply add a center diamond in the shape and size of your choice. Gemstone Carat Weight :.51 ct. t.w.